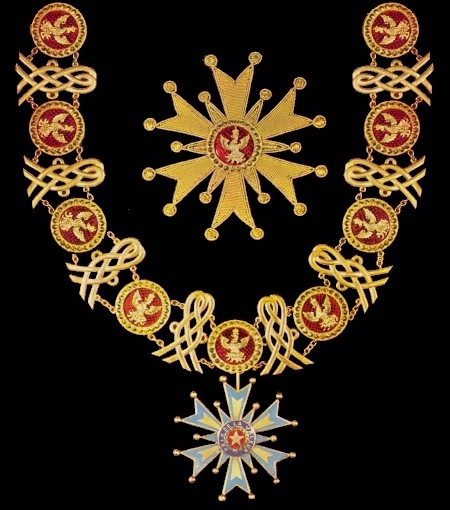 The Royal and Military Order of St. Henry: Grand Cross with Collar, breast star, collar and badge. The Royal and Military Order of St. Henry (Ordre Royal et Militaire de Saint Henry): founded by King Henry I on 20th April 1811 to reward outstanding valour and exceptional military and civil merit. 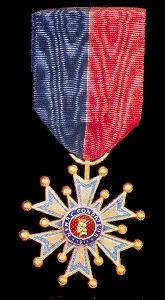 Awarded in a superior class (Grand Cross with Collar) and three ordinary classes (1. 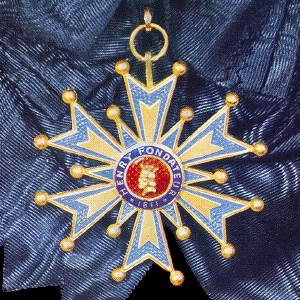 Grand Cross - blue riband, limited to sixteen recipients, 2. Commander - red riband, thirty-two recipients, and 3. Knight - half red,half blue riband, unlimited in number). Ribbon: plain black moiré sash for recipients of the Grand Cross, red moiré neck ribbon for Commanders, and a moiré chest ribbon in the national colours for knights. Obsolete 1820. 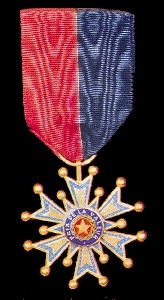 The Royal and Military Order of St. Henry: Grand Cross, sash badge. The Royal and Military Order of St. Henry: Knight, obverse (L) and reverse (R).